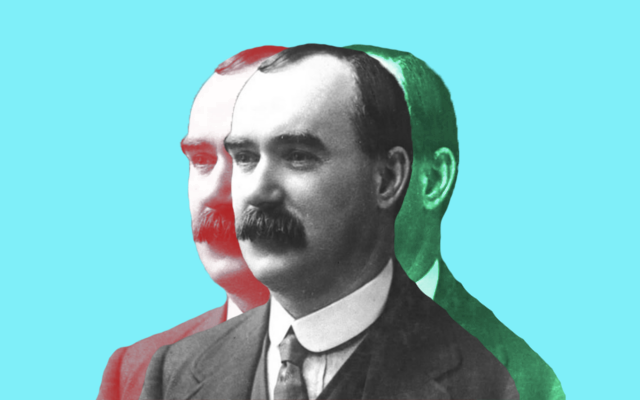 Today is the 150th birthday of the great Irish revolutionary James Connolly, a key figure in building the socialist movement in Ireland, Scotland, and the United States. Shaun Harkin, author of The James Connolly Reader, explains his importance and enduring relevance for a new generation of radicals. Born in a Scottish slum, he signed up to serve in the British Army at only fourteen years old. His first sighting of Ireland was as a soldier in Queen Victoria’s occupying colonial army. Known as the “Famine Queen,” Victoria’s iron-fist ruled Ireland during the Great Hunger. Connolly joined up with rebellious Scottish workers after he went AWOL from his regiment in the late 1880s. The former Queen’s soldier read the Communist Manifesto and became a Marxist. Marxism made sense of Connolly’s life, vindicated his class anger and charted a path toward revolutionary transformation. He returned to Ireland in 1896 and founded the Irish Socialist Republican Party. The new party was dedicated to the simultaneous revolutionary overthrow of the British Empire and capitalism in Ireland. Ireland’s emancipated workers would found a new society based on justice and equality. The “workers republic” would be a beacon of hope for the colonized, the dispossessed, and the exploited across the globe. As such, Connolly developed a strategy for a successful working-class uprising in a colonized and underdeveloped economy wherein urban workers constituted a minority. In 1916, he, like revolutionaries across the world, was shattered by the panorama of carnage and the collapse of the European socialist movement into justifications for imperialist warmongering or passivity. He agitated for a rising in Ireland to stop its criminal partition and the division of Ireland’s revolution-making working class. This rising, in peripheral Ireland, was to set off a Europe-wide working-class revolution to end the barbaric slaughter and sweep away the parasitical economic system precipitating it. Connolly’s strategy of permanent revolution was grounded in the lives of Ireland’s working classes. Every working-class grievance was an opportunity for action, for struggle, for rebellion. To be relevant, socialists needed to root their activity in working-class communities and workplaces. Revolutionary action would flow from below; from the workplace and from working-class communities. Strikes were an opportunity for solidarity and heroism. Protests were an opportunity for colonial subjects to show to the world their defiance. Connolly rejected outright the notion that workers, women, or other oppressed and exploited people should hold back their demands for some future opportune time. To advise those demanding change to “wait” would be a betrayal of the project of working-class emancipation. The working-class movement should never, insisted Connolly in his magnificent Labour in Irish History (included in The James Connolly Reader), moderate its demands so as to not alienate the upper middle class and ruling elites. Submerging working-class demands in order to have a broad movement would lead to the opposite; it would drain away working-class participation. Living in the United States, Connolly was an enthusiastic advocate of the Industrial Workers of the World. The power of the working class was based in the workplace. Taking collective action made the workers organized, strong, and more confident class-conscious beings. Elections were opportunities for revolutionaries to amplify struggles and give disturbers of the political peace a platform. Connolly traveled across the length and breadth of the United States campaigning for Eugene V. Debs for president with the message that the working classes should abandon Republicans and Democrats for working-class socialism. Passivity from below, Connolly insisted, encouraged tyranny from above. Today, tyrants and want-to-be tyrants abound. Inequality and social injustice along with the ideological bankruptcy of our political and economic system has led huge numbers of people to look for an alternative. Socialists have a historic opportunity to become rooted once again in the communities, workplaces, and lives of the exploited and dispossessed. The basic arguments and accessibility of Socialism Made Easy, Connolly’s globally popular pamphlet written in the United States, are necessary for a new generation. The militant trade unionism Connolly espoused and put into practice is needed to challenge the dictatorship of capital in the workplace and out-of-control inequality. So too his opposition to empire and militarism. His support for the women’s rebellion and his case that the oppressed themselves have the right to determine what is a “fetter” on their lives appears more relevant than ever. His opposition to using the government to manage capitalism carries an important warning for socialists and progressives the world over who have seen their popularity grow. Every reform to improve the lives of working-class people should be sought out and fought for. But, these struggles must be the building blocks for a revolutionary insurrection that sees the party of progress lead the working-class majority toward a takeover of society from the bottom up. Connolly was a great fighter and rebel whom we should celebrate and study. His vision of a socialist workers’ republic can become an inspiration to all of us seeking freedom and liberation.